This year’s Irish entry is going to be the 44th in the Eurovision Song Contest. Ireland is the most successful countries as it has won this music event for seven times! This is an absolute record in the ESC history, only the UK and Luxembourg are coming close with five victories, followed by the Netherlands with four wins. The Irish always had the advantage of the English language, when other countries had to present the songs in their native language Danish or Turkish, English could be understood by almost everybody. Since the rule change in 2003, all participating countries are allowed to sing in the language they want to. So Cyprus sang a song in French, and Latvia in Italian and so on. For the English speaking countries the advantage of the language has been destroyed. The road of success ended in the 90’s, maybe Irish ballads were not loved that much anymore, people were more interested in new sounds from Eastern Europe. Nowadays Ireland can be happy if it passes the Semi Finals, but this is not motivating for a country blessed with such huge success. 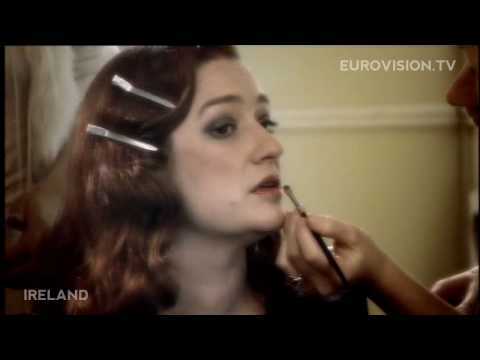 That’s why Niamh Kavanagh is going to be the new savior for Ireland. She has already won the contest in the 1993 with “In your eyes” on home ground in Millstreet, Ireland. Her voice was outstanding and her personal interpretation was overwhelming. Niamh loves the quiet songs as she is a passionate singer. On her CD’s you can enjoy all her dreamy music variations from Soul to Jazz, with her gorgeous voice it’s pure indulgence. In this year’s Irish pre decision Niamh has been the clear favorite from the beginning. As Johnny Logan is not going to participate anymore for Ireland, Niamh Kavanagh could make it again. But 17 years is a long time, Niamh has changed and has become more mature and steady, her voice is still what it used to be, her song “It’s for you” is an Irish ballad with a traditional flute interlude, with a Titanic-like climax. This is typical Irish, typical Eurovision and typical Niamh. The only point of criticism is that the song does not allow too much for personal interpretation, so we cannot expect a climax like in “In your eyes”.